We’ve written a few times about the case of Andrew Auernheimer, perhaps better known as weev. While he has a bit of a reputation as an online troll, and self-admitted jerk, his case is yet another example of how ridiculously broken the CFAA (Computer Fraud and Abuse Act) remains. In this case, what he did was expose a pretty blatant security hole in AT&T’s servers, that allowed anyone to go in and find the emails of any AT&T iPad owner, merely by incrementing the user ID. This isn’t a malicious “hack.” It’s barely a “hack” at all. This isn’t “breaking in.” This is just exploring a totally broken system. To call attention to this, weev collected information on a bunch of famous folks who had iPads and alerted the press. This is what security folks do all the time. And for his troubles in helping AT&T discover and close a pretty bad security hole, he’s been sentenced to 41 months in prison plus he has to pay $73,000 to AT&T. One hopes AT&T will use it to hire half a decent security person or something. The sentencing, by the way, was near the top of the “guidelines” the judge had, for those who insisted that the courts in other CFAA cases, such as Aaron Swartz’s might be lenient. Plenty of people — especially in the security community, are realizing what a ridiculous ruling this is and how dangerous it is. As people are starting to point out, while he may be a jerk, that doesn’t mean he’s a criminal. 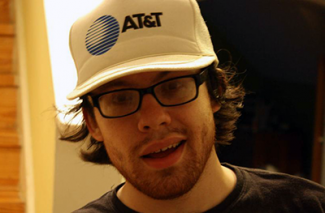 The prosecution used chat logs in which Auernheimer and a friend, Daniel Spitler, discussed the effort, and the fact that they talked about harming AT&T’s reputation and promoting themselves as security experts. I don’t see how that leads to any criminal activity though. AT&T’s reputation should be tarnished for having crap security. And why wouldn’t some researchers talk about using the discovery of a really bad privacy hole by a major corporation to boost their own credentials. Pretty much anyone in their shoes would reasonably think the same thing. While that may be true, none of that, by itself, is illegal. And the actions that exposed a glaring hole put in place by bad programmers at AT&T shouldn’t be either.